Iwate, with its large amount of arable land, is known as one of the top food producers in Japan. While demographic shifts and population decline have brought huge challenges for Japanese primary industry, and indeed the whole country, there are still young people in Iwate who are going into agriculture. 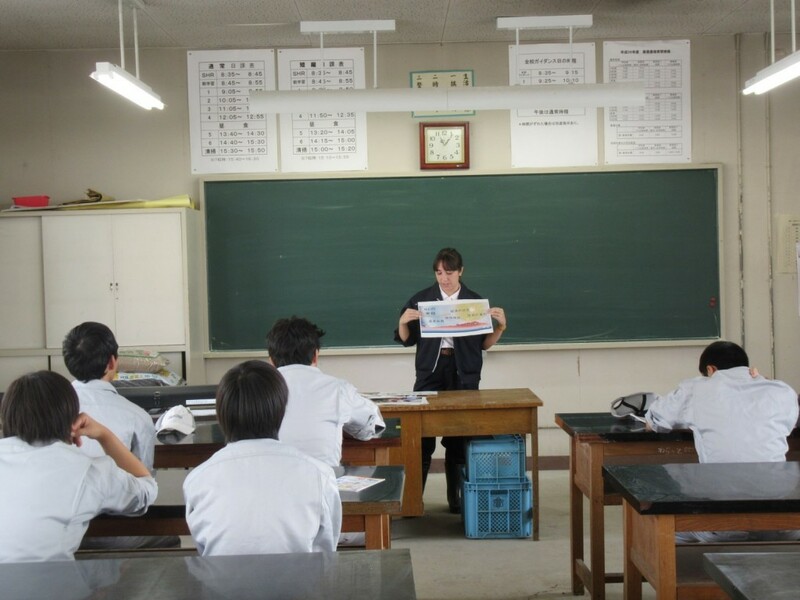 In central Iwate lies Hanamaki Agricultural High School, where students learn the common high school curriculum along with the basics of farming. Each student majors in a certain field of agriculture, from animal husbandry to vegetable farming. In late September, as the leaves began turning gold and scarlet, I met with the students majoring in fruit production. 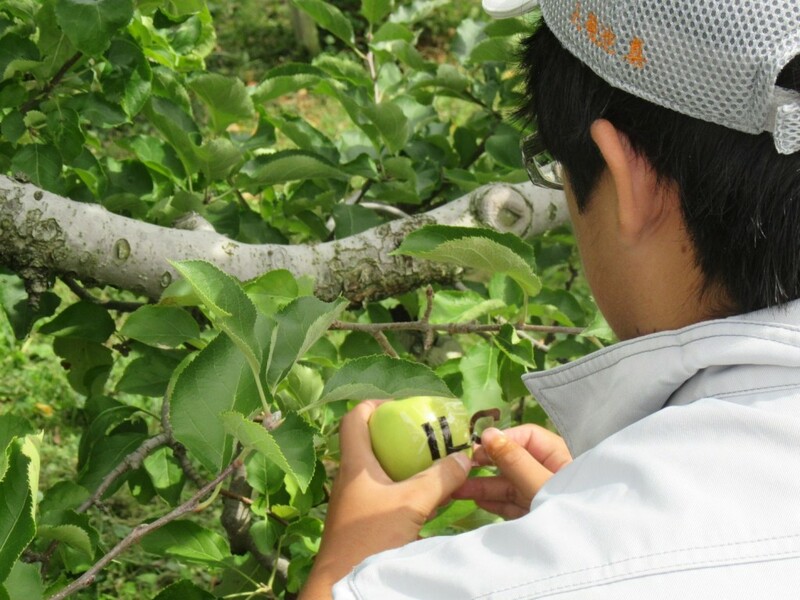 These young people are actually working on a special project for the Linear Collider Workshop 2016: they’re growing special “ILC Apples,” to be given to researchers visiting for the conference in December. I spoke to them a bit about the ILC when we met, but for my part, I wanted to know the lowdown about these apples. First things first. We drove up the dusty road to their campus in the hills of Hanamaki, passing by rice fields and the surrounding farms. I strapped on my boots and work clothes – today, I was prepared to get dirty. After meeting the students outside, we had a talk about the International Linear Collider. This was part of the ILC Caravan, which is a series of lectures in Iwate led by people involved with the ILC. We travel around with the Caravan to talk to various people about the project, with a focus on those who might not interact with physics or international relations on a daily basis. After all, those people are already very interested in the ILC. The ILC Caravan is being held to make the case that the ILC is truly a project that will involve everyone, from the Nobel Prize-winning scientist to the farmer tending the fields near the ILC facility. 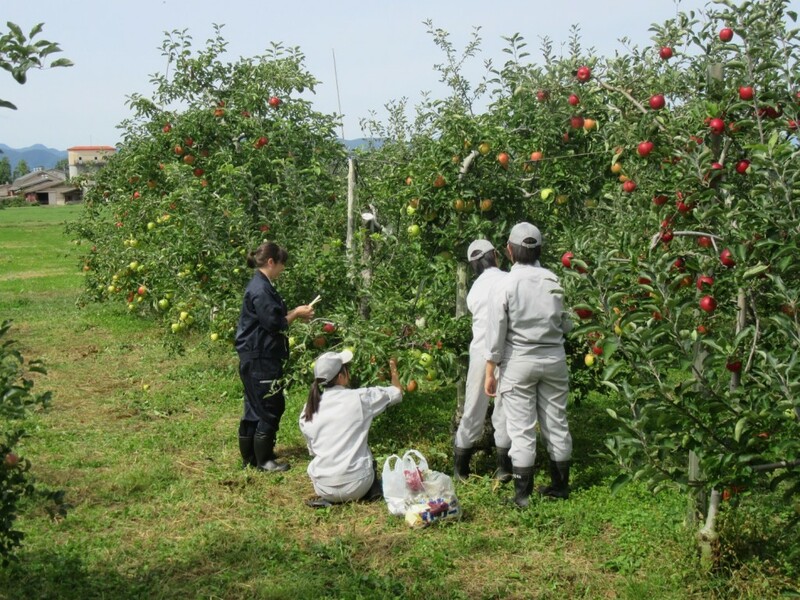 After talking about what the ILC does, and how Iwate might change with an influx of new foreign residents, we marched out to the apple orchards to prepare the ILC Apples. The students had already wrapped the apples on the trees in newspaper, to block the sun’s light. Removing the paper revealed pale yellow apples, upon which we stuck clear seals with “ILC” written in black marker. While the sun will turn these apples red, the ILC letters will remain the lighter color. Together, we spent the next half hour unwrapping the apples and placing the stickers. The apples won’t be harvested for a few more weeks, after some tender love and care from the students. For my part, I was amazed with how much work goes into creating something I take for granted: the humble apple. I was also happy that the students seemed interested in learning more about the ILC. I just hope that they took away one fact: if the ILC is realized here, their lives will change. Even if they never take a step inside the ILC campus, their fruits will be bought by local researchers. Their neighborhoods will become more international. And their region will grow stronger and more vibrant. The ILC is truly something for everyone. 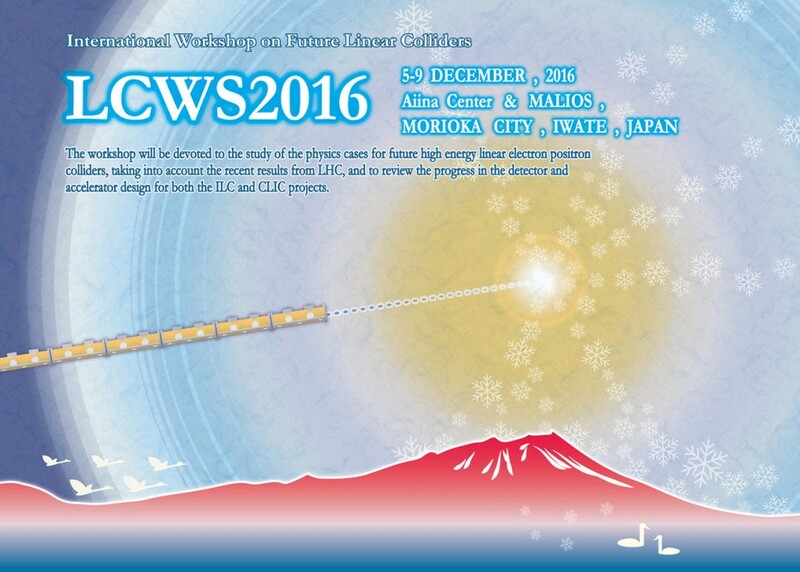 As you can see below, the poster for the LCWS 2016 takes its motif from Miyazawa’s classic tale, “Night on the Galactic Railroad,” where a boy takes a trip to the stars in a train that flies through the night sky. What awaited the boy was the question: what is true happiness? In a similar way, the following question awaits us with the International Linear Collider: how was the universe formed? And for participants of the LCWS 2016? 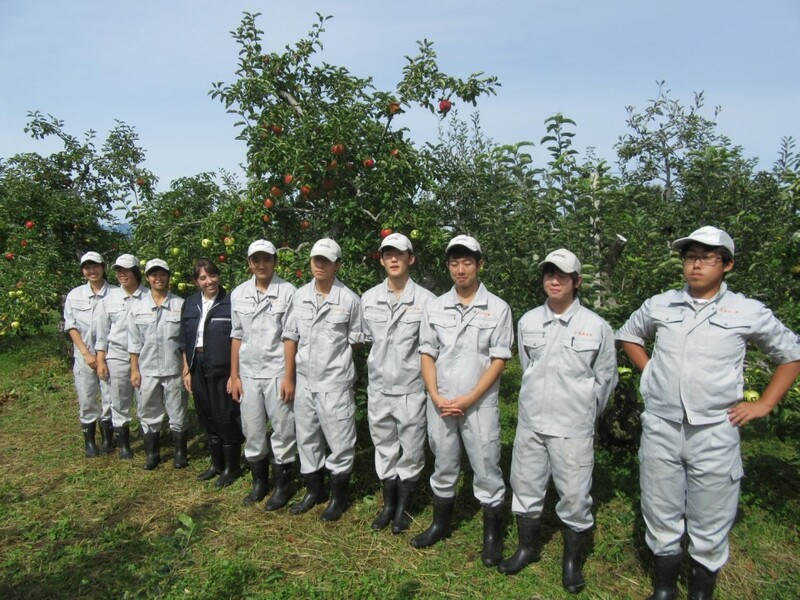 ILC apples, fresh from Hanamaki, will await you in Morioka!